Actor and Former Sen. Fred Thompson, R-Tenn., and his wife, Jeri, arrive for a party at the Macedonian Embassy in Washington following The White House Correspondents' Dinner on Saturday, April 29, 2006. Can Google Get Any Bigger? Confidence in the Confidence Index? The days of kissing babies and door-to-door campaigning are so Politics 1.0. If a candidate for the 2008 election has any hopes of landing the commander-in-chief job, he/she better start refining their online search strategy and pimping their MySpace profile. With the Web becoming the newest channel to stump for votes, online search holds some interesting insight about the presidential candidates and the issues that Americans are most curious about. Here's a shocker. Despite Al Gore's seat on the board of leading search engine Google, Republican candidates are more Googly then their Democratic counterparts. For the first week in June 2007, former New York Mayor Rudy Giuliani received over 41.4% of his official campaign site traffic from the search behemoth, and the current most-searched-for Republican, Senator Fred Thompson, received over 47.5% of his traffic from Google. Contrast those numbers to Hillary Clinton's 21.6% and Barack Obama's 22.2%. Both Clinton and Obama can take some comfort in the fact that they have far more MySpace friends than their Republican counterparts. Clinton receives over 7.9% of her visits from the leading online social network while Obama trails at 3.9%. The only Republican candidate with a MySpace constituency is Congressman Ron Paul, who received over 5% of his traffic from his online friends. Over the past three years the top political-issue search term has been the most divisive political issue over the last several elections: "abortion." Over 12.5% of searches on the term led to visits to political websites like Abortionfacts.com (pro-life) and Pro-choice.org (pro-choice), while 10.8% of searches led Internet users to health-related websites like the U.S. National Library and eMedicine Health. Each year, searches on the politically charged term reach their pinnacle in late October, just prior to November elections. Rounding out the remaining top searched-for political issues over the last four weeks were: "Iraq casualties," "death penalty," and the topic that was featured extensively in the recent debates, "illegal immigration." For those anticipating Al "doth protest too much" Gore's announcement to throw his hat in the ring, search terms around global warming and climate change are noticeably absent from political search terms. Searches on the term are sending Internet users to news and educational sites, indicating that Internet users are either still in the stage of learning about the topic or that global warming has become a non-political issue  or a political non-issue. Search stats might also provide insight into the candidates' public image  namely which term searchers juxtapose with which candidate's name. For example, despite the passage of time, Internet users are still obsessing on Obama's association with the Muslim religion, with many variations on "barack obama muslim" appearing. Rudy Giuliani has numerous queries containing questions on his domestic policy positions, while McCain searchers are looking for information on his military service. 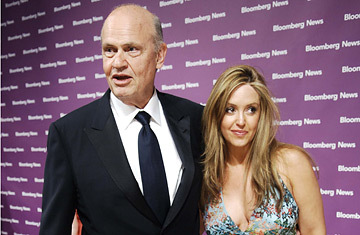 On the lighter side, the users searching for Fred Thompson are focusing on his wife. And while Hillary has several associations with health care, specifically Medicare, her searchers seemed most focused on a different pressing issue: her theme song contest. Bill Tancer is general manager of global research at Hitwise. An earlier version of this story neglected to mention John McCain's sponsored listing.